Well run – friendly atmosphere. What a joy – delightful evening. Great atmosphere – thank you for a lovely evening. Enjoyed all the work put into the evening – thank you!! This community cinema project was initiated by Eden Arts in Penrith and is promoted as the “Rural Touring Cinema”, a project that aims to bring films closer to the community by involving local people in the choices of films and the way the films are presented. In the past we have had themed evenings with additional food and entertainment to match the film but mostly we simply aim to show a good film in a friendly, relaxed environment. We aim for the cinema to be a relaxed, easy going and cosy atmosphere, where friends in the village can meet and share time together. The cinema project is totally self funded and so we rely on people in Asby and the surrounding areas to attend the events in order to keep the cinema going. Although we do not have a lot of overheads, we are required to pay a licence fee for showing the film and we need to pay for the venue, so we need a good turn out to each film for the project to be maintained. Who Runs Asby Remote Cinema? Great Asby Cinema is a local cinema, run by people in the village. Although we do have a core group of people to set up the film on the night, it is an informal committee. 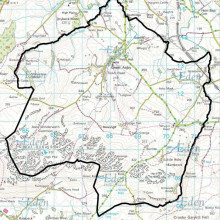 So, if you live in Great Asby, we’d prefer to think of our ‘committee’ as you!! How do you Choose the Films to be Shown? Anyone can recommend films, just let us know your ideas when you attend one of our screenings, or use the online ‘Suggestion Box‘ (on the right). If you want to leave us your contact details we can include you in email circulars when we come to decide the next set of films; so you can have your vote. We are generally required to decide on the films every 3 months. How are your Events Promoted? When we know what films we want to show, we inform Eden Arts who prepare a brochure with the films being shown in all the villages involved in the project. Eden Arts also advertise the films on their website. To promote the films in the village, we send out reminders and posters throughout the village. Details of our forthcoming films, including video trailers, can been seen on this web page. (We also include them in the monthly edition of “Asby Matters”). What can I Expect ‘On the Night'? On the night of a film, the main core group usually meet a few hours before to set up the equipment and the hall. Someone will have been to collect the equipment and refreshments earlier in the week. If anyone would like to come along to help us set up, or to offer to collect equipment, your help will always be appreciated. If you are arriving in time to watch the film and have a relaxing evening with friends, there isn’t much more you need to know. Just pay on the door, grab yourself a drink and sit down to enjoy the film. We generally serve hot drinks at the start and ice creams with other usual cinema refreshments available at the interval. You are also welcome to bring your own drinks, or you can pop out to the pub next door and bring drinks back to the film (so long as you return your glasses afterwards). If you would like to know more about the cinema project in Asby or would like to become involved in some way, please do get in touch. We would love to be able to do more with the evenings, perhaps more themed nights or discussion groups after the more thought provoking films. We currently have a very small ‘core group’ and so we can only do this with more helpers involved, so we’d love to hear from you. Am I too Young to get Involved? We particularly welcome the involvement of young people. When the cinema project was first set up there was a requirement for the committee to consist of at least 50% under 16 year olds. The aim was to encourage young people to do more for their local communities. Although this is no longer a formal requirement for the funding of the project, we would like to continue with this ethos in Asby. Many of our younger committee members will soon be turning 16, so new younger members who want to help would be welcomed. We also welcome more family involvement. As this is a village entertainment project, we aim to provide family entertainment and not just entertainment for the adults in the community. Most of the films we show are rated PG, 12 or 15, with the very occasional higher rated film. We also enjoy showing U rated films that are suitable for all the family and, with the participation of local families, we would very much like to be able to promote more family films in the future. Glenn Close is a powerhouse in slow-burn marriage drama The Wife. Joe is about to be awarded the Nobel Prize for his acclaimed and prolific body of work. His literary star has blazed since he and Joan first met in the late 1950s. “The Wife” interweaves the story of the couple’s youthful passion and ambition with a portrait of a marriage, thirty-plus years later – a lifetime’s shared compromises, secrets, betrayals, and mutual love. Glenn Close in a class of her own. To read the full review click “Learn more” below. Doors open at 7 pm for film screening at 7:30. Why not collect a takeaway Pizza from the pub to bring with you? Check out the Cinema Pizza Menu. …and remember you can always bring a bottle, or pick up a drink from the pub. Book early with Karen (on 017683 52828) or Gina (on 017683 52642) to avoid disappointment. Admission: Adults £5. Doors open at 7 pm. 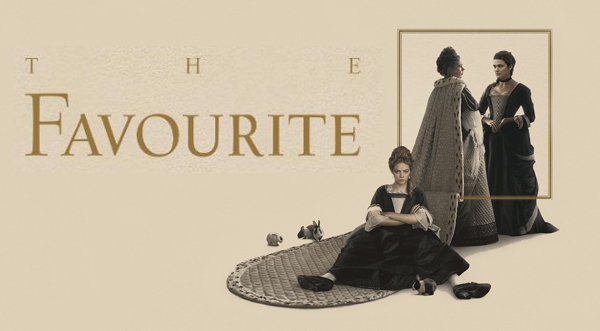 A period drama with a laugh rate on a par with Airplane!. 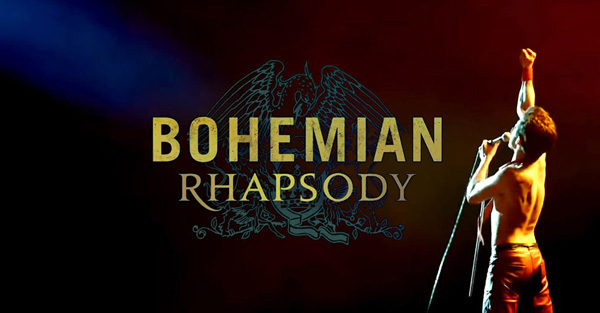 Our current season rocks out with Queen, and and their extraordinary lead singer Freddie Mercury. Winner of “Best Motion Picture – Drama” at the Golden Globes. Nominated in 5 categories in the Oscars. Slated by the critics but adored by audiences! Click on an event for full details, including a synopsis, review, and video trailer. This latest remake of a cinema classic stars Lady Gaga. Jack and Ally are two artistic souls coming together, on stage and in life. Theirs is a complex journey through the beauty and the heartbreak of a relationship struggling to survive. 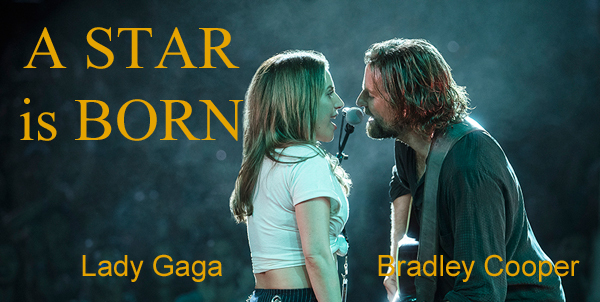 In this new take on the iconic love story, four-time Oscar nominee Bradley Cooper makes his directorial debut, and also stars alongside multiple award-winning, Oscar-nominated music superstar Lady Gaga in her first leading role in a major motion picture. Cooper portrays seasoned musician Jackson Maine, who discovers and falls in love with struggling artist Ally. She has given up on her dream to become a successful singer, until she meets Jack, who immediately sees her natural talent. Lady Gaga electrifies in a Hollywood musical for the ages. Manchester 1819, and one of the defining moments in the struggle for universal suffrage. In 1819 the “Manchester Patriotic Union” organised a gathering in the city’s St. Peter’s Field district, to be addressed by the radical orator Henry Hunt. 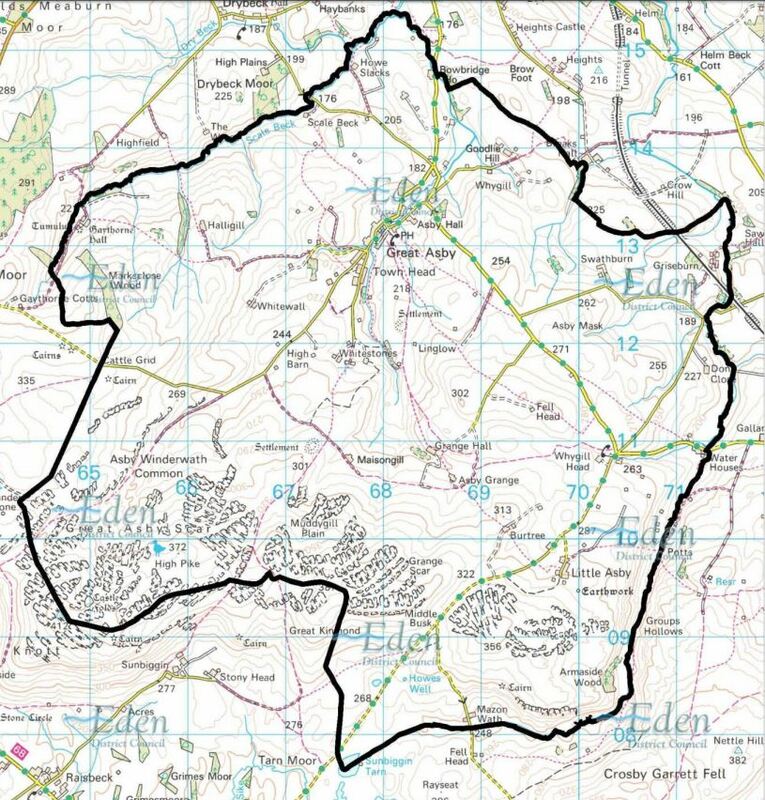 Folk gathered from all around the area; contemporary estimates put their number at 60,000. This was all too much for the city’s magistrates. Joseph Nadin was a former cotton spinner turned highly corrupt deputy constable. On being ordered to arrest Henry Hunt, he instead ordered the cavalry to charge the crowd. The Yeomanry went in, followed by the 15th Hussars, sabres drawn, indiscriminately attacking all and sundry. It was if the battle of Waterloo, just 4 years earlier were still raging. 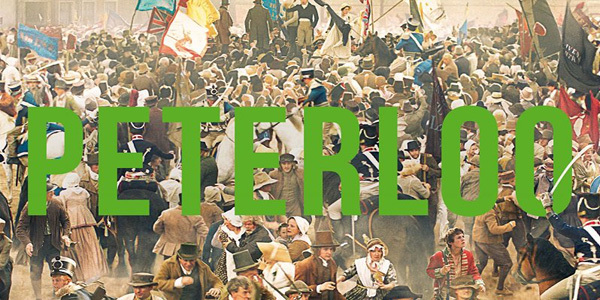 Mike Leigh’s depiction of the events leading up to the “Peterloo Massacre” stars Rory Kinnear (as Henry Hunt) and Maxine Peake. Grit and brilliance in Mike Leigh’s very British massacre. Doors open at 7pm for film screening at 7:30. Admission: Adults £5. Children £3. Doors open at 7pm. For all those who missed it last month (and those who have requested to see it again) Great Asby Cinema brings you another screening of this lovely local film. Great Asby Cinema brings you another screening of this lovely local film. One man’s tribute to his mentor whilst growing up in the Yorkshire Dales. The director is kindly allowing Great Asby Cinema to screen his film free of charge. 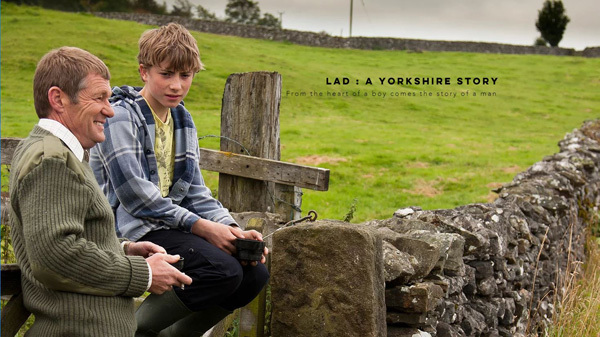 “LAD” is the heart-warming story of a Dales teenager (Tom Proctor) who loses his father. Despite the best efforts of his mother, Tom finds himself getting into trouble with the police. A local National Park ranger (Al Thorpe) agrees to take Tom under his wing as he comes to terms with his father’s death and the reality of the family’s new, unforeseen circumstances. The film is very much based on real life. It is dedicated to the memory of Al Boughen, 1933-2010, the real-life park ranger who inspired the character of Al Thorpe, and who was mentor to screenwriter and director Dan Hartley when he was a teenager; in the same way that Al Thorpe is to Tom Proctor in the film. We will be asking for donations in aid of Hospice at Home. Doors open at 7:30 pm for film screening at 8 pm. but you can still bring a bottle!